Through the Looking Glass and What Alice Found There: by Lewis Carroll, illustrated by Franciszka Themerson. Published by Inky Parrot Press (2001). 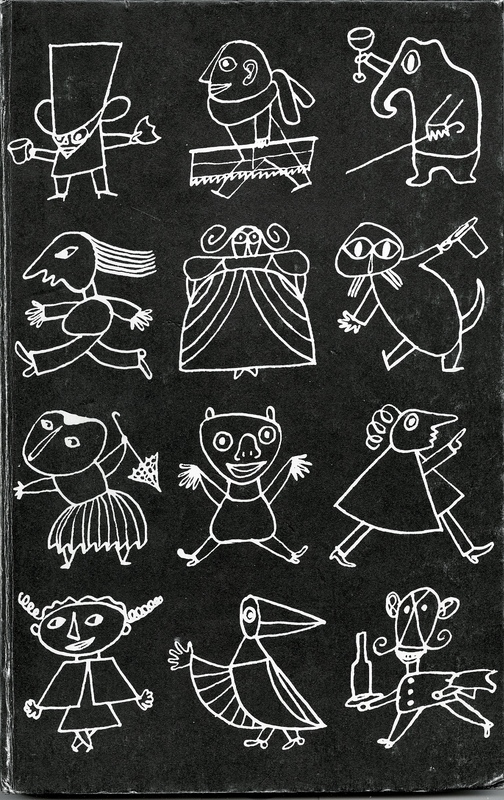 Hard back with black boards decorated with white illustrations by Themerson. 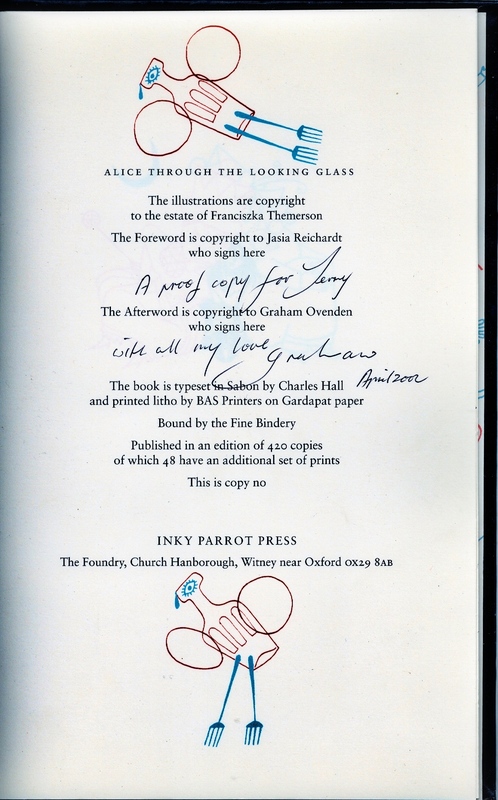 With a forward by Jasia Reichardt, and afterword by (the now rather disgraced- found guilty of six charges of indecency with a child and one charge of indecent assault against a child) Graham Ovenden. Themerson was commissioned in 1946 (not long before copyright was up) by Harrap to illustrate Through the Looking-Glass and What Alice Found There. Even though the blocks had been made, Harrap decided not to go ahead with publication- possibly as with the loss of copyright, the market may have been flooded with new versions, but Inky Parrot rescued and published the rather fabulous illustrations in 2001. Published in an edition of 372 Standard copies, casebound, signed and 48 Special copies, bound in quarter leather with 6 initialled prints in a folder, but mine is a proof copy with a dedication from Ovenden.